These 11 neighborhoods are the best neighborhoods in Atlanta, GA for 2019. In this article, you'll learn what makes these areas special including great schools, lively markets, historical influence and more! Ranked from least to most expensive, check out these areas and learn why they've earned their spot as the best neighborhoods from our local experts. The neighborhood of Chamblee is located northeast of Atlanta. 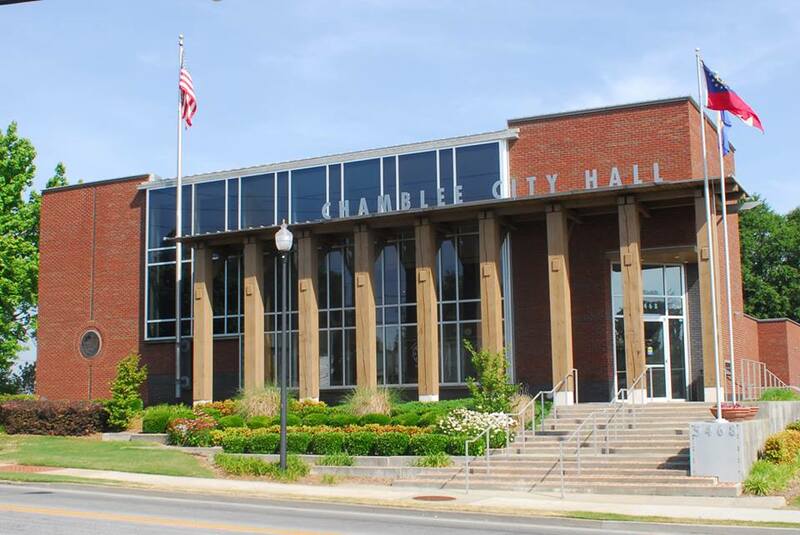 Chamblee can be described as having tremendous value for housing, great schools, and lots of new development and growth. Chamblee features a thriving downtown area with shops and restaurants that continues to expand. This neighborhood is also known for its diversity and international influence throughout the community and cuisine. Some popular attractions in this neighborhood include Chamblee's Motor Mile, Atlanta's Chinatown Mall, several antique stores and the Dekalb-Peachtree Airport. Grant Park is located slightly southeast of downtown Atlanta. This neighborhood is home to Zoo Atlanta and Atlanta’s oldest and fourth largest park. 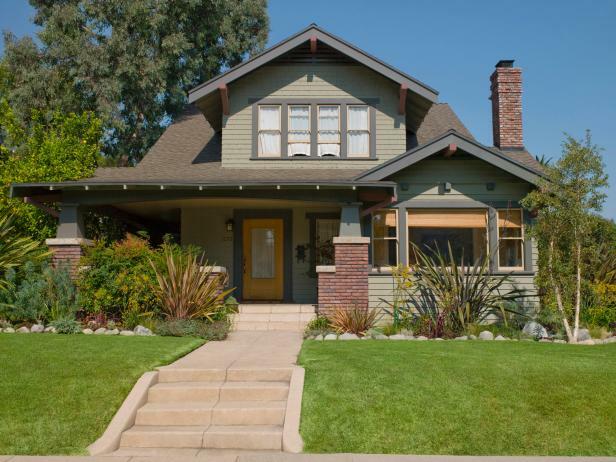 This neighborhood is known for it's Victorian mansions and Craftsman-style bungalows. To the far north of this Atlanta neighborhood, you can find Oakland Cemetery which features the gravesite of "Gone With The Wind" writer and Atlanta native, Margaret Mitchell. On Sundays, this Atlanta neighborhood hosts the Grant Park Farmer's Market has been voted the"Best Farmer's Market" by Atlanta Magazine and Creative Loafing. Due to it's history, events, and affordable housing, Grant Park deserves it's spot on our list of the Best Neighborhoods in Atlanta, GA for 2019. Next on our list of the best neighborhoods in Atlanta, GA is Brookhaven. Brookhaven is northeast of Atlanta and borders Buckhead, Chamblee and North Druid Hills. Many residents love Brookhaven for it's close proximity to Buckhead and more affordable living options. Many young professionals move to Brookhaven from the inner city as it is a great neighborhood for young families with more room to grow. Brookhaven features many shopping areas and restaurants that are sure to keep any family busy. Due to its suburban feel and close proximity to the city, many residents would argue that Brookhaven is one of the best neighborhoods in Atlanta. 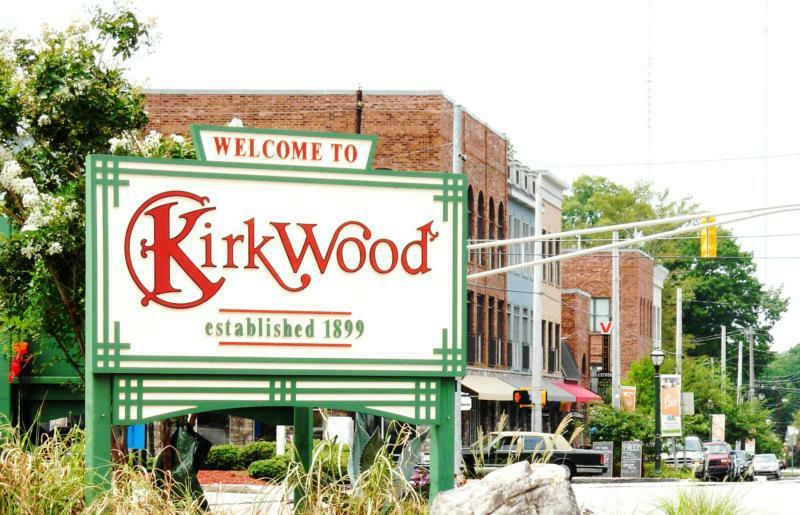 Kirkwood is located east of downtown Atlanta. This friendly and diverse Atlanta neighborhood is known for its sense of community, local restaurants and shops. This neighborhood has an active neighbor's association and often celebrates its heritage as a designated historic neighborhood with festivals and events alike. The Candler Park/Lake Claire neighborhood is located east of Atlanta and neighbors Edgewood, Kirkwood, and Old Fourth Ward. This intown, Atlanta neighborhood is great for families featuring playgrounds, swimming pools and a golf course. This neighborhood is also known for its schools, festivals and the Lake Claire Community Land Trust which features a resident emu. Virginia-Highland or better know as "The Highlands" is the original live, work, and play neighborhood of Atlanta! 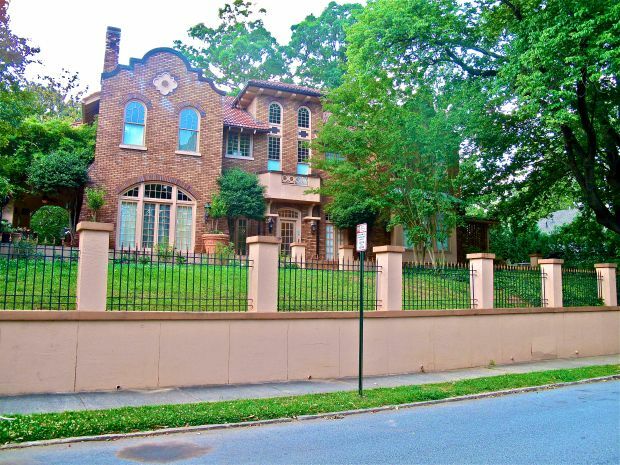 This affluent, Atlanta neighborhood is very walkable as it is borders both the Atlanta Beltline and Piedmont Park. Many locals would say that great nightlife, restaurants, shops and community qualify this neighborhood as one the best Atlanta neighborhoods. Inman Park is located east of Atlanta and is right on the Atlanta Beltline. 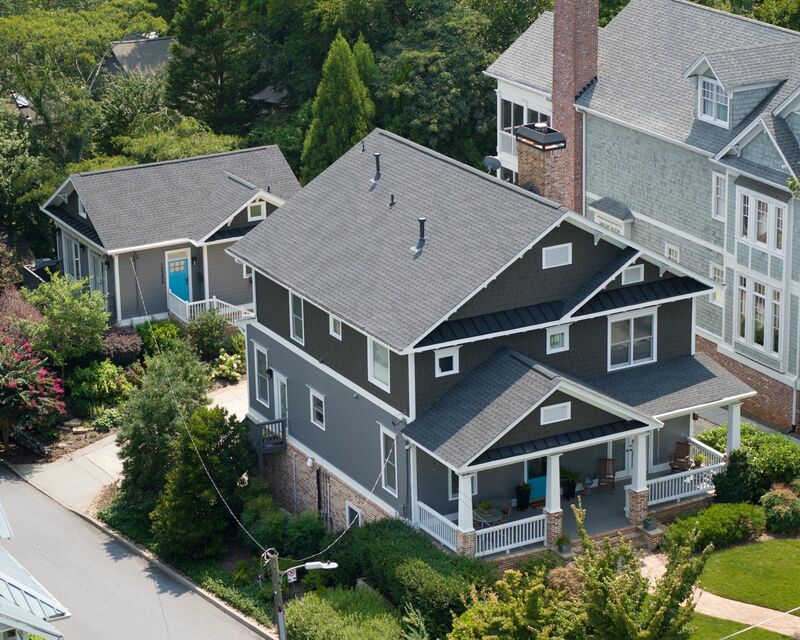 Like the Highlands, Inman Park is very walkable and also features many great restaurants. One notable highlight of this neighborhood is Krog Street Market which opened in 2014. 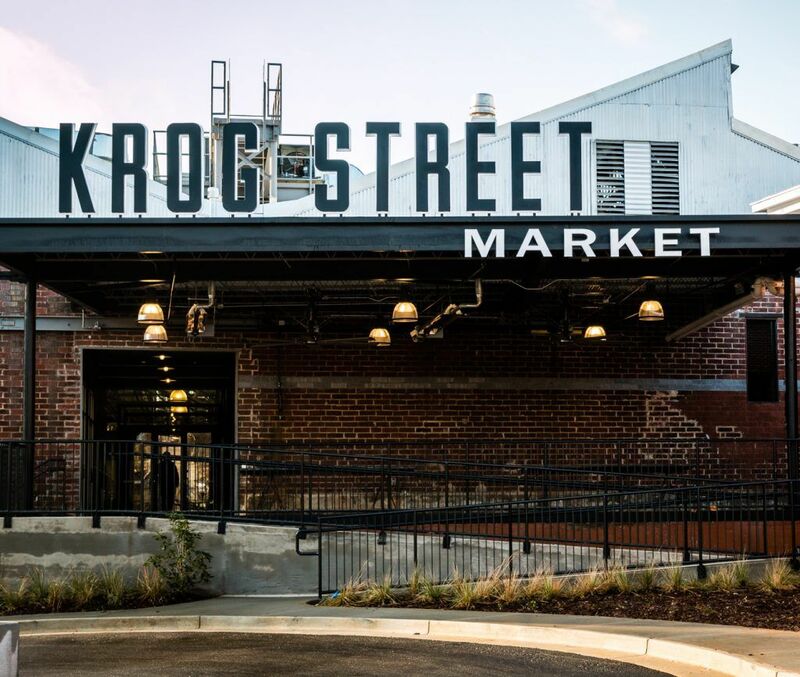 Krog Street Market is located along the Beltline and features retailers, restaurant and market stalls selling produce and goods. With two of Atlanta's favorite attractions nestled within this neighborhood, Inman Park is undeniably on our list for this year's Best Neighborhoods in Atlanta, GA.
Morningside is located north of Atlanta and neighbors Virginia Highland and Midtown. Morningside also borders Piedmont Park and the Atlanta Botanical Garden. 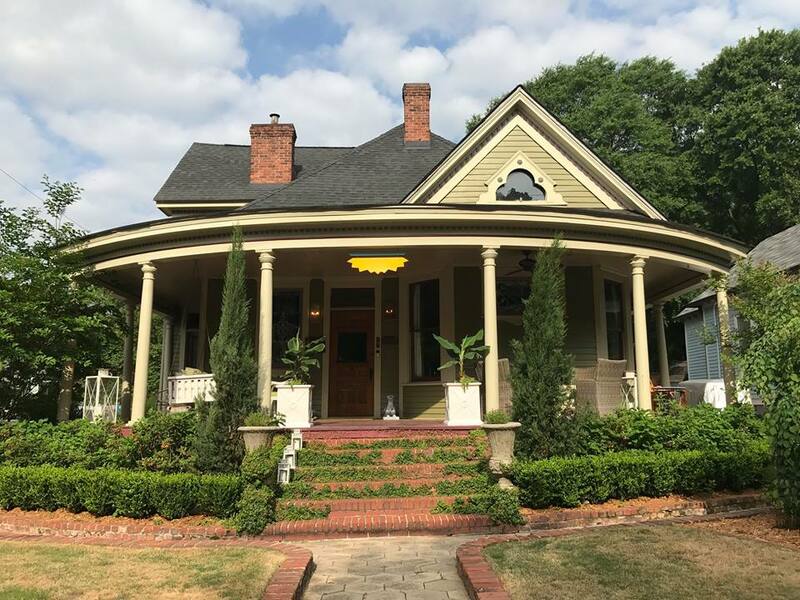 This neighborhood is known for its old Atlanta architecture and features restored Craftsman, Four-square and Tudor-style homes (Great American Country). Like Grant Park, Morningside hosts its own Farmer's Market on Saturday mornings that features local produce, meats, flowers and artwork. Another highlight of this Atlanta neighborhood is the Morningside Nature Preserve which features over 30 acres of land perfect for hiking, biking, and even a dog beach. Number 9 on our list of the Best Atlanta Neighborhoods is Ansley Park. Ansley Park is located north of Atlanta and neighbors Midtown and Piedmont Park. This neighborhood is popular for its parks and beautiful tree-lined streets kept up by the neighborhood's civic association. According to the Ansley Park Civic Association, this neighborhood was once home to the Governor's mansion for decades. Garden Hills/Peachtree Heights is a large urban neighborhood in the heart of Buckhead and close to Midtown. 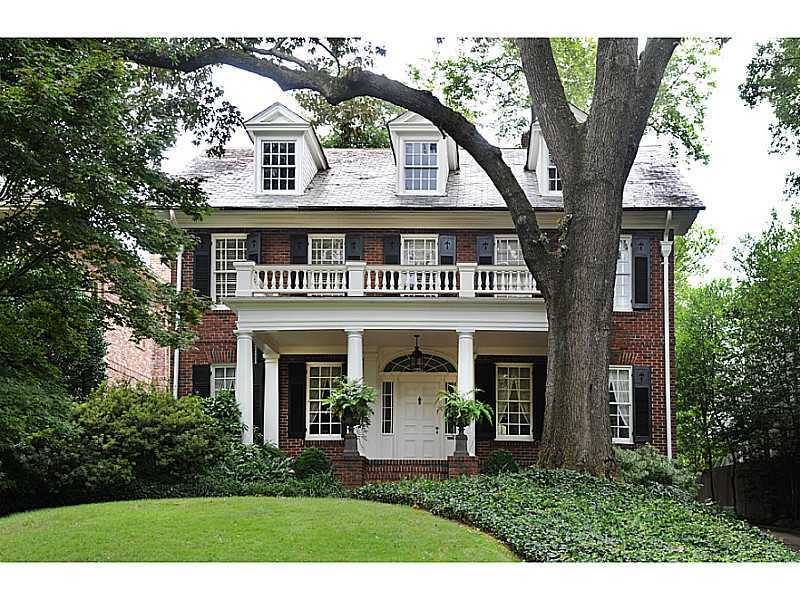 This Atlanta neighborhood features many parks, old trees, quiet streets and large classic homes. This area is known to be very family-friendly, but can be hard to secure residency due to the high demand. When homes become available in this area, there are usually several buyers who have been waiting for decades to purchase them. Due to it's location and high demand, one can see why this neighborhood would be considered one of the best Atlanta Neighborhoods. Chastain Park is located north of downtown Atlanta and neighbors Buckhead and Brookhaven. 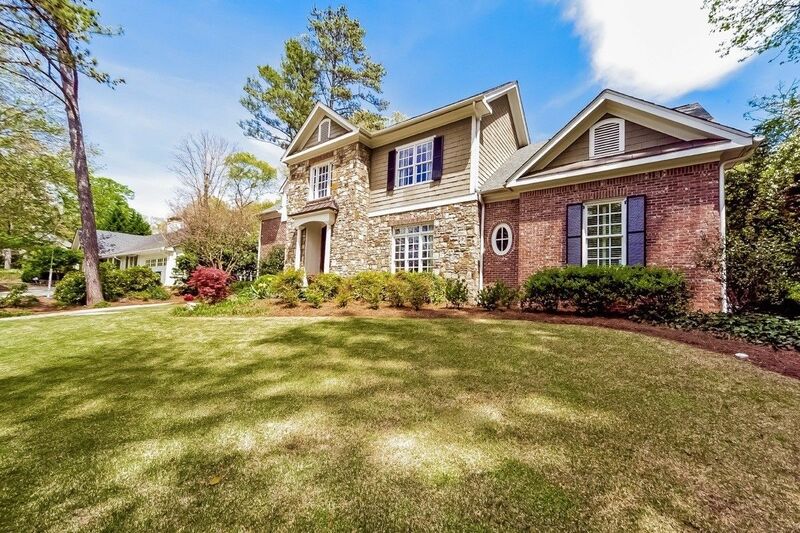 Chastain park features many beautiful homes and one of the largest city parks in Atlanta, Chastain Park. Chastain Memorial Park features its own amphitheater, horse park, tennis courts and golf course. Due to its constant activity and family atmosphere, Chastain Park tops off our list of the Best Atlanta Neighborhoods for 2019. To learn more about other areas that are on the rise in Atlanta, check out our new list of up and coming Atlanta neighborhoods for 2019.